Stouts and Porters. They look the same, have many similar characteristics, including aromas, flavors, and notes. In many circles, the two are used interchangeably. So what’s the difference? Or is there any at all? The Egerton Manuscript, written in 1677 by Francis Henry Egerton, 8th Earl of Bridgewater, was the first written account using the word “stout” as more of an adjective and a synonym to describe “strong” beer. The word “porter,” on the other hand, wasn’t found in written word until 1721, around the same time that the porter style of beer —the color being dark brown and made with roasted malts and/or roasted barley— originated in England. Porters became popular to produce because they lasted longer, had a higher alcohol content the longer the brew fermented, cheaper, and the brews were more flavorful – all in addition to the general populace clamoring for more. By 1776, porters were being exported out of England to neighboring nations, including Ireland, and upon being introduced to this style of brew, Arthur Guinness began his own (and now world-renowned) brewery producing the ever popular Guinness Irish Dry Stout, using black patent malt. Around this time is where one can see the terminology becoming almost interchangeable. Porters began to be called “Stout Porters” based on the word “stout” meaning “strong” as outlined previously, and also began to take on the meaning of “dark” as well. Today, in 2018, it’s generally agreed that stouts are brewed with unmalted roasted barley, while porters are brewed with roasted malted barley; but with all the experimental and booming craft beer businesses these days, who’s to say that even the brewers themselves don’t completely follow the “rules,” allowing stouts and porters to become even more intertwined. Truly, even the most judicial of palates may not be able to discern a stout from a porter. Individual varieties of each category include milk stout, dry or Irish stout, oatmeal stout, coffee stout, chocolate stout, oyster stout, Imperial stout, bourbon-barrel stout, London porter and the Baltic porter. Milk Stouts contain lactose, a sugar found in milk, that add a sweetness to the brew and is not fermented or broken down during the brewing process. Because of this milk derivative, during the late 1910s into the 1920s, after World War I, it was touted to be “nutritious,” “healthy,” and was even given to new mothers after they gave birth to increase their breast milk production. Even Guinness was on board using the marketing slogan, “Guinness is good for you,” and promoted the use amongst nursing mothers, postoperative hospital patients and blood donors. Today, milk stouts might not offer any medicinal miracles, but they sure are tasty! My pick: Left Hand Brewing Company’s (Longmont, CO) Milk Stout Nitro. At 6% ABV this beauty is creamy and smooth with notes of coffee, brown sugar and vanilla. It’s popular and can be found in supermarkets, specialty beer shops and on draft at our local restaurants and watering holes. Dry or Irish Stouts lack any further additives like lactose or oatmeal; hence the word “dry.” This is the stout that has predominant roots in Ireland and truly starts and ends with Guinness. Dry Irish stouts contain less carbonation by using nitrogen instead of carbon dioxide, have a lower ABV than other stouts, and very noticeable notes of roasted barley. My pick: Guinness Brewery’s (St. James’s Gate, Dublin, Ireland) Guinness Draught. 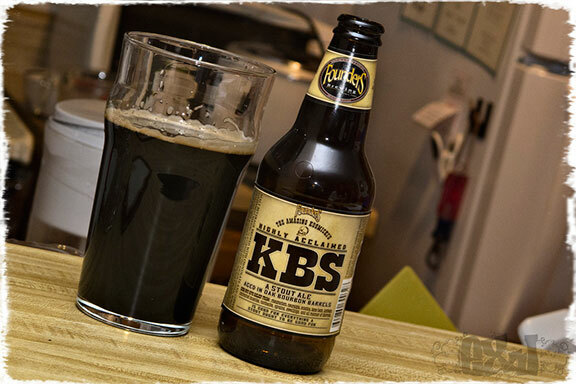 At 4.2% ABV, this iconic brew is rich and smooth, with roasted, nutty notes. Other dry or Irish stouts one might come across in our area include Saranac’s Irish Stout and Brooklyn Brewery’s Brooklyn Dry Irish Stout. Oatmeal Stouts are usually quite smooth and have a variable sweetness that comes from the addition of oats to the mash in the brewing process. The addition of oats to brew beer have their origins dating back to the medieval time period, and were mainly used in ales. Oatmeal stouts during the late 19th century and into the early 20th century were considered be a healthy concoction, rich with medicinal properties. Porridge, basically a fancy word for breakfast oatmeal, at the time, was considered to be the ultimate health-food, and therefore oatmeal stouts were guilty by association. Today, oatmeal stouts are quite popular to produce amongst brewers and to drink amongst the dark brew-loving consumers. My pick: Founders Brewing Company’s (Grand Rapids, MI) Breakfast Stout. This silky brew, (that personally, I could literally drink at breakfast), comes in at 8.3% ABV with predominant notes of coffee and chocolate. Lucky for it’s fans, and those enticed to try it, this is another readily available brew found all over the CNY area. Bonus pick: Willow Rock Brewing Company’s (Syracuse, NY) Brunch. At 6.5% ABV, it’s a lovely collaborative brew made with Recess coffee and Cedarvale maple syrup. Both entities shine sublimely throughout with the maple syrup keeping the bitterness of the coffee in check. … And, dare I say it, I’d consider sleeping right through Breakfast and head straight to Brunch! Coffee Stouts and Chocolate Stouts are brewed with roasted barley and chocolate malt, respectively; although these, again, can be intertwined depending on how experimental each brewer decides to be. Each agent produces flavors and notes of coffee and chocolate on varying levels in the brewing process. However, many brewers also decide to add in additional ingredients including roasted coffee beans, cold-brew coffee, caramel malt, cacao, and actual chocolate. My coffee pick: In addition to the aforementioned Willow Rock collaboration brew, Middle Ages Brewing (Syracuse, NY) has also teamed up with Recess Coffee to produce Summer Recess/Recess Stout, a cold-brew inspired coffee stout served both traditionally and on nitro. At 6% ABV, it’s a smooth, solid, no-frills coffee stout. My chocolate pick: Flying Monkeys Craft Brewery’s (Barrie, Ontario, Canada) The Chocolate Manifesto. While this is both a milk stout (which you’ve already read about) and an imperial stout (which you will read about shortly), it also fits the bill of being a chocolate stout; and in a perfectly fitting fashion, you will frequently find that all the different stouts are intertwined as well! At 10% ABV, this chocolaty amazeballs beer is made with three strata of raw cacao nibs, cacao powder, and chocolate malt in addition to Dark Crystal malt, roasted barley, pale malt, flaked oats and Millennium hops. If you haven’t already sampled this, it should definitely be on your beer bucket list. Oyster Stout … Yes, you read that correctly. There really are stouts brewed with oysters! The history behind this type of stout is murky at best, but it appears to have started back in the late 1800s, in England, but also as far away as New Zealand, and was quite popular through the 1930s, both brewing with the shells and/or meat of the oysters and also marketing oyster stouts as a perfect accompaniment to your fish or shellfish dinner, despite there being no mollusc in the actual beer. Today, you also have both types, and while I have not tried either, I’m ultimately intrigued! 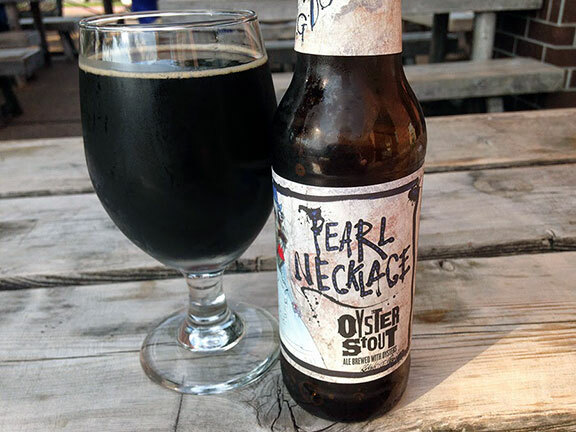 Popular pick: Flying Dog Brewery’s (Frederick, MD) Pearl Necklace Chesapeake Stout. At 5.5% ABV, this stout is actually brewed with oysters straight from the Rappahannock River in Maryland. According to Untappd, the brew is dark, roasted, dry, and slightly bitter. Flying Dog’s brews can be found all over the east coast so I’ll be sure to keep a lookout for this particular one. Imperial Stouts are also known as Russian Imperial Stouts. This particular stout was brewed in England by Thrale’s brewery in the 18th century and was brewed for, and shipped directly to, Russia’s Empress, Catherine II, AKA Catherine the Great, and her court. (Who was also the longest reigning female leader of Russia from 1762 to 1796. Thanks Wikipedia!) In our current 21st century, Imperial Stouts (or sometimes referred to as American Double or American Imperial Stouts because, well, ‘Merica) refer mainly to stouts with high alcohol content —over 9% — rich and with character complexity; Some refer to these as dessert beers. In the brewing process, hops and malts are added in larger quantities, giving the brew both added flavor and upping the ABV ante. In addition, you’ll normally find Imperials to be a bit more expensive, and that’s because of the increased quantities of materials used to make them. My pick: SingleCut Beersmiths’ (Astoria, NY) Heavy Boots of Lead. This Imperial stout comes in at 11.2% ABV with complexity throughout. It starts being heavy with coffee flavors and then fades to delightful dark chocolate, all the while being on the slightly more bitter end of the spectrum. Bourbon-Barrel Stouts are a sub-category of all of the above. Any of the aforementioned stouts can be brewed and then once past the fermentation process, they’re aged in barrels that once held bourbon, infusing these stouts with boozy, sweet, rich flavorings of the bourbon itself. Length of the aging is variable and at the discretion of the brewers themselves. Also to note, the alcohol content of these brews also increase further. 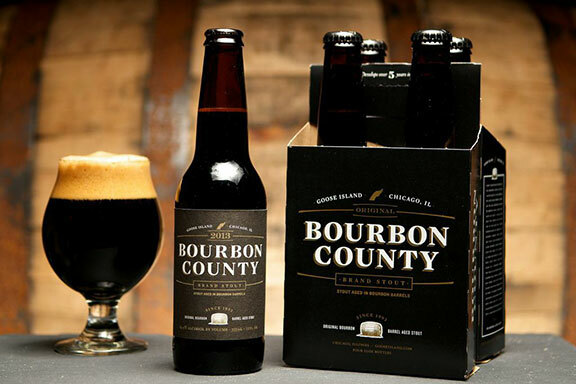 My pick: Goose Island Beer Co.’s (Chicago, IL) Bourbon County Brand Stout. At a whopping 15% ABV this is one of the best bourbon-barreled stouts I’ve ever had the pleasure of tasting. (And I LOVE my bourbon-barreled stouts!) Along with the strong, prevalent sweetness of the bourbon, there’s also an earthiness to the brew, along with notes of coffee, and surprisingly, a hint of raspberries. If you’re able to hunt down 2017’s batch, either bottled or on draft, you will not be disappointed. The London (English) Porter is modeled after the traditional beer originating in England that we discussed at the beginning of this article. This is brewed with brown malt, usually mild, with a balanced middle ground between dry and sweet, with roasted malt flavors and earthy characteristics. My pick: Critz Farms Brewing & Cider Company’s (Cazenovia, NY) Pig City Porter. At 5.5% ABV, this is a fairly traditional London porter, that has all the elements of the roasted malted barley, with caramel notes and a little bit of a smokey complexity. Very smooth to boot. Baltic Porters are the Imperial Stouts of the porter world, meaning, they are more robust, complex, and pack a larger punch in alcohol content than your normal porter. They originated in the 1800s in the Baltic countries of the world, examples being Latvia, Estonia, & Lithuania, hence the name of the style. They’re also brewed with lager yeast and cold-fermented unlike porters with ale yeast. Baltic Porters tend to be more popularly produced in Europe than in the United States, however, you may just recognize a couple: Smuttynose Brewing Company’s (Hampton, NH) Baltic Porter – 9%ABV, and Jack’s Abby Craft Lagers’ (Framingham, MA) Framinghammer – 10% ABV are two Baltic porters worth checking out. So is there a real difference between stouts and porters? The technical answer is yes, but in reality when you’re tasting the brews, it’s pretty difficult to tell. Don’t believe me? Set up a blind tasting party with friends! I just recently did this at Middle Ages Brewing Company with my lady friends and fellow members of our Syracuse Women of Craft Beer group. There was a lot of mass chaos along the synapses between taste buds and brain cells! But it was interesting to see what you labeled right and wrong while being both fun and educational! 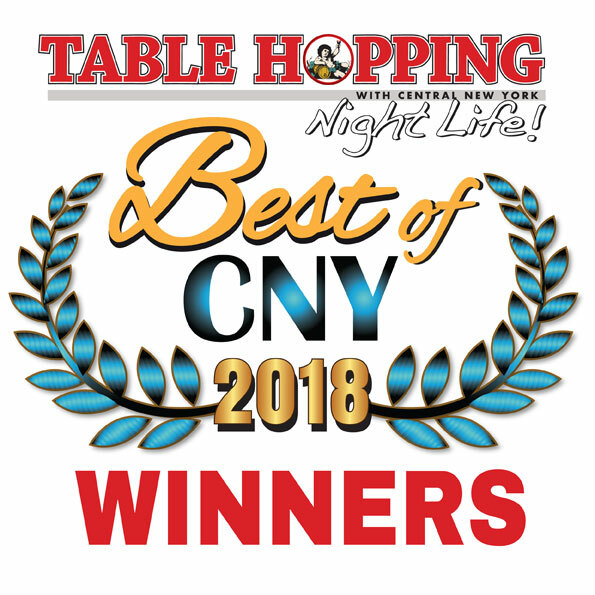 Just a brief introduction that I’ve joined the Table Hopping crew as your new craft-brew-loving gal who will be bringing you your monthly pour of beer education and the low-down on all things beer related in the immediate CNY area and beyond. Along the way I hope that I can give a few recommendations for your grocery lists, event suggestions and local hotspots for an afternoon out with friends or planning a date, and if not for nothing, perhaps enlighten you with some random knowledge that you can amaze your teammates with at trivia night – or at least give you and your pals a suggestion on what to drink at the bar! 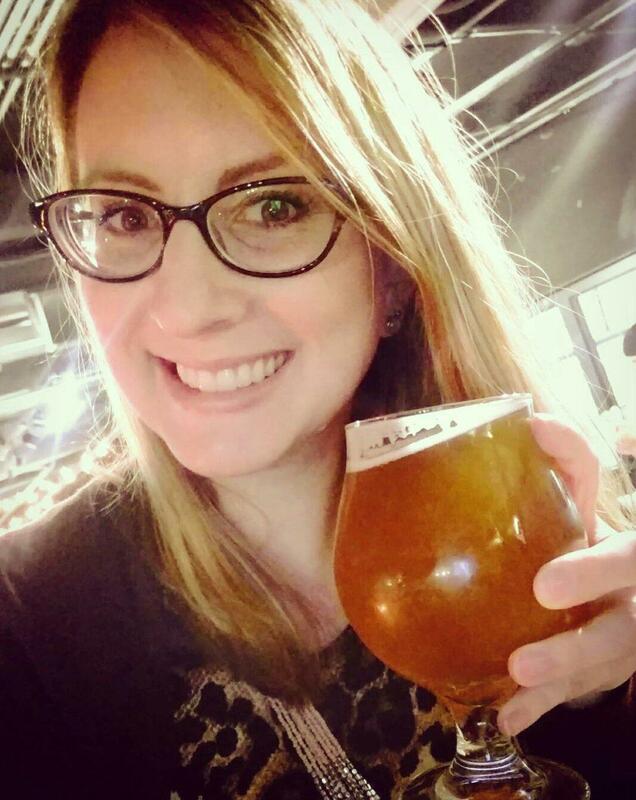 I have some mighty large shoes to fill that my friend and fellow Syracuse Women of Craft Beer member (& founder), Gloria Rakowsky, left for me, but I hope that my style (and shenanigans) will keep all y’all coming back for more each month. Cheers!